Missing teeth are a major concern for older Americans and their dentists. The National Institute of Dental and Craniofacial Research estimates that American adults (ages 20 to 64) only have an average of 24.92 teeth remaining out of 32; 3.75 percent of American adults don't have any teeth left. If you fit in either of these categories, your dentist can help you get back what you lost thanks to dental implantation technology. Learn more about the advantages of getting dental implants at Yanik Dental in Windsor Locks, CT. Many dentists now treat their patients who have missing teeth with dental implants. The implants provide a durable and reliable tooth structure that improves the function and look of a patient's smile. The base of a standard tooth implant is made of titanium, which is a biocompatible metal and effective at fusing with the bone tissue in your mouth. Once the fusing process, also called osseointegration, is complete, a porcelain crown can be mounted on top of the device. Doesn't just resolve problem superficially -- it is a full replacement from root to crown. They provide a lifetime solution for many patients who take very good care of their smiles (your dentist just needs to replace the crown every 20 years or so). They are indistinguishable from the rest of your teeth (only you and your dentist will know it’s there). How Long Will the Implantation Procedure Take? 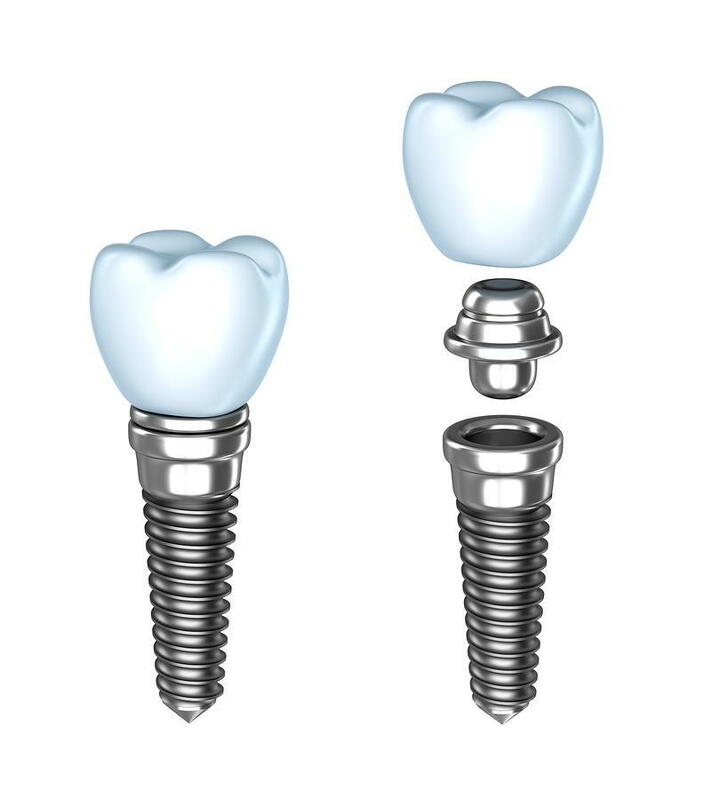 You'll visit your Windsor Locks dentist's office about three times when you get dental implants: once to install the base titanium device (below the gumline), another time to install the top crown and another to follow-up on the procedure. The length of the process varies between two and nine months depending on how long it takes for the implant to integrate with your bone tissue. Dental implants are key to restoring your smile if you have weak, damaged, or missing teeth. Let Dr. Thomas Yanik check your smile to see if your bone tissue is strong enough to support them. Call Yanik Dental in Windsor Locks, CT, today at 860-623-1116 to schedule a gum and tooth examination.